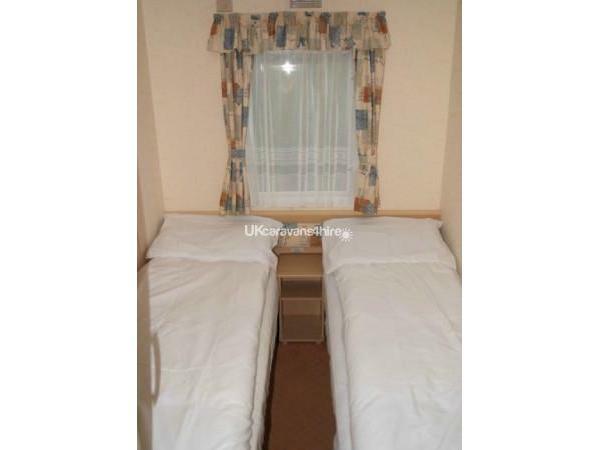 OAP Discount of £30 per week - maximum of 3 people staying in caravan for discount to apply. 2 week bookings receive a £50 discount. Multiple discounts not applicable - i.e. one discount (the largest) per booking allowed. £50 deposit (non-refundable) payable at time of booking for every week booked - e.g. 2 weeks booked = £100 deposit. Full balance payable 6 weeks prior to start of holiday - non-refundable. Thank you for your enquiry. We will reply to your email withing one working day. If the reply doesn't appear in your Inbox, please can you check your Junk folder as it may go straight there depending on your email provider's filter settings. 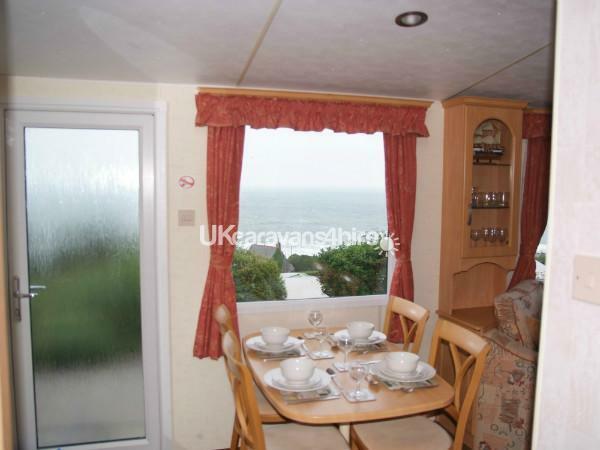 If you love stunning panoramic sea views, this is the ideal caravan for you. 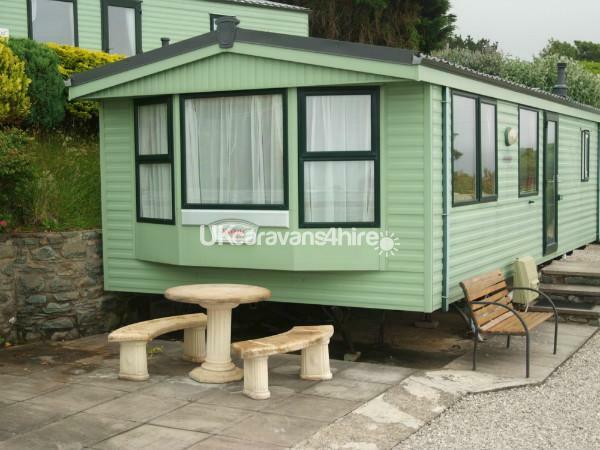 This privately owned caravan is situated at Hendre Coed Isaf just outside of Barmouth on the fringes of the Snowdonian National Park. 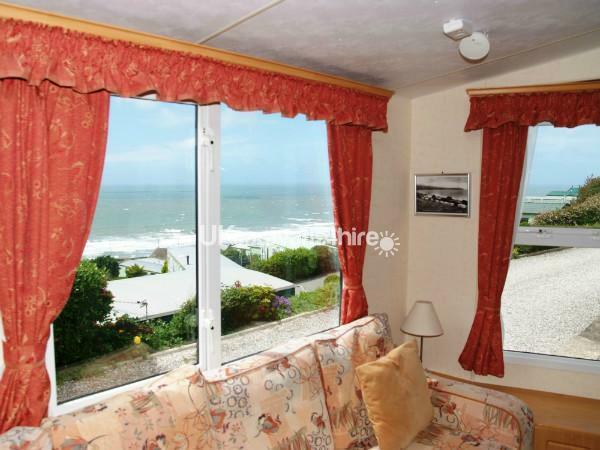 Nestling into the hillside the caravan park boasts breath taking panoramic views of Cardigan Bay. 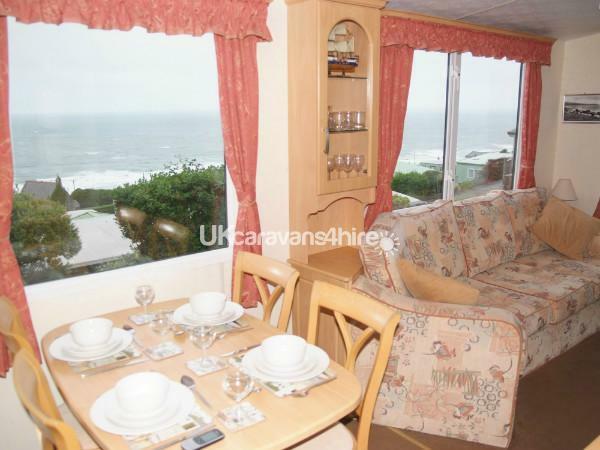 This much loved caravan is elevated towards the back of the caravan site enjoying fabulous views from inside and outside of the caravan. It has an outside terrace/dinning area and parking. The living area is bright but cosy, equipped to a high standard, with blow air heating, gas fire and double glazing to ensure warmth whatever the weather or time of year. The living room has a CD player, TV, Freeview, DVD player with a good selection of DVDs to snuggle down and watch on the evening. 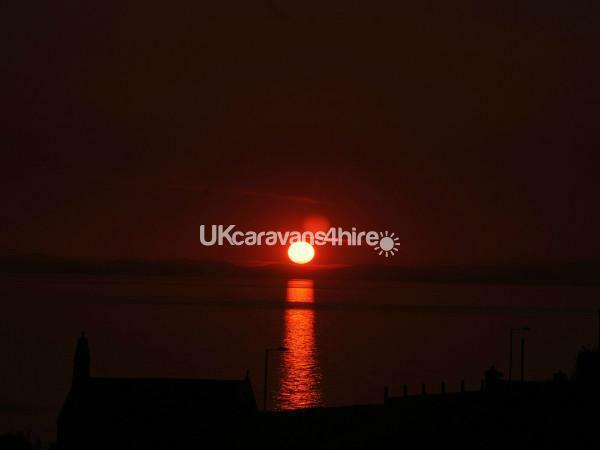 Alternatively you could enjoy a glass of wine sitting out on the caravan terrace area watching the magnificent sun sets over the sea. 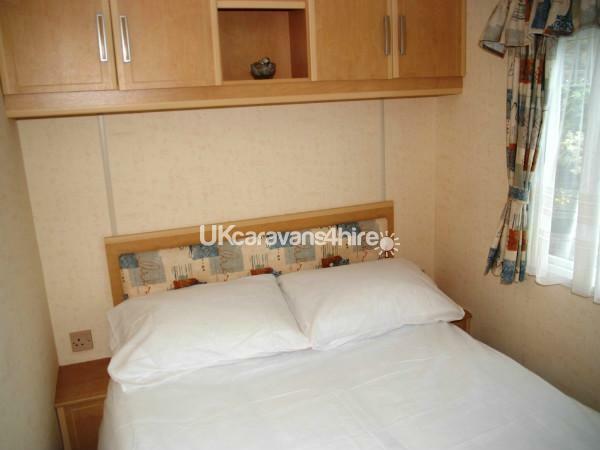 Sleeping up to 6 people the two bedrooms offer a double and twin room plus a sofa bed in the lounge. Although there is room for 6 people, 4 people are advised for comfort. 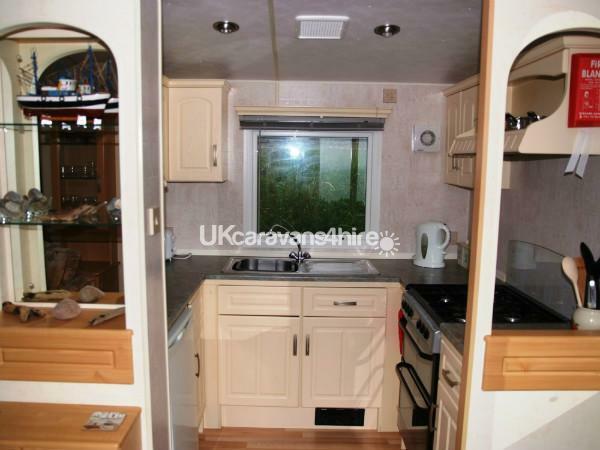 The fitted kitchen has a gas cooker, microwave, toaster, fridge freezer for dinning in or just outside on a sunny day. The bathroom has a clean walk in shower, basin and toilet. The site offers an outdoor swimming pool (check season open times), laundrette, games room, bar, beer terrace with superb sea views, a fabulous restaurant with a range of freshly cooked meals or takeout service .There is also a playing field, children’s play area and a separate dog walking area. WiFi can be purchased from reception. The caravan is a short 5 min. walk to the lovely sandy beach. There are also plenty of beautiful beaches and small villages to stop off at all down the coastal road. There is a bus service outside of the park gates that will take you into Barmouth. Or a 10 min. walk to the Arriva Coastal train that will go to Barmouth or the other way to Harlech and beyond. Barmouth is a beautiful quaint seaside town with a back drop of the Snowdonian mountain range, miles of sandy beach and a small harbour. Offering plenty of shops, bars, small fair, arcade, restaurants, tea rooms and not forgetting good old fish and chips. With a supermarket, chemist, doctor’s surgery and out of hours walk in centre - Barmouth has all you need! Travelling the opposite way will take you to the small historic town of Harlech with its medieval Castle, beautiful sandy beach and up the steep hill to the old town with a small array of shops, cafes and tea rooms. 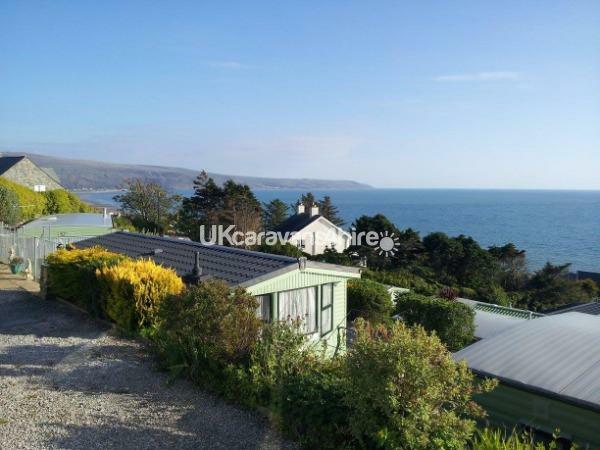 This stunning part of the Welsh coast offers mountains, cliffs, beaches, castles, caves, rivers, lakes, waterfalls, farms, slate caverns, watersports, fishing, clubs and pubs for a relaxing or active holiday to suit all. Other local places of interest include Portmarion, Fairbourne and Shell Island. Further out there’s Go Ape Criccieth, Portmadag, hands on crafts and a steam train trip up Snowdonia. It is important that you enjoy your holiday as much as we do; so any queries please do not hesitate to contact us via email or telephone. A £50 deposit (per week booked) secures your booking. The balance is payable 6 weeks prior to the start of your holiday. If any of the above do apply, we'll deduct the cost of the cleaning / repairs and refund the difference. 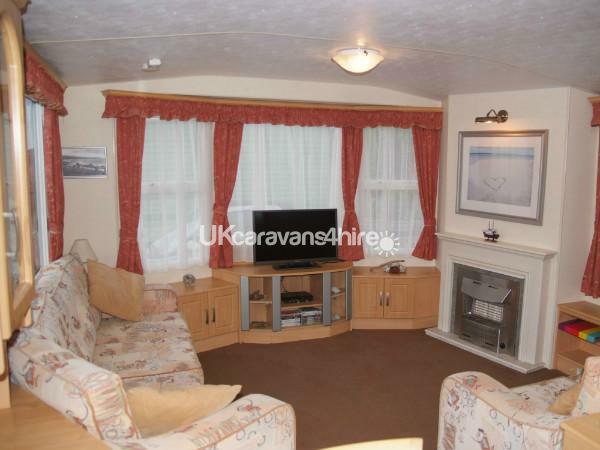 Please note - the caravan is let strictly on a "first come, first served" basis. The booking will only be confirmed once the deposit has been paid.